The idea of being limited to a warm box of pizza delivered to your door is finally lost. Orderit.ca provides a super user-friendly website with not only a great amount of restaurant options, but also options according to your specific needs. Whether it’s based on corporate catering at the office, or a simple meal for one at home, ordering through Orderit.ca gives you a plentiful amount of options to coordinate to you. The handiest option is also being able to sort this list into even further preferences – by Name, Price points and Delivery Fee. The search results are super easy to glimpse over, showing the price points, brief description, order requirements and next available delivery time. 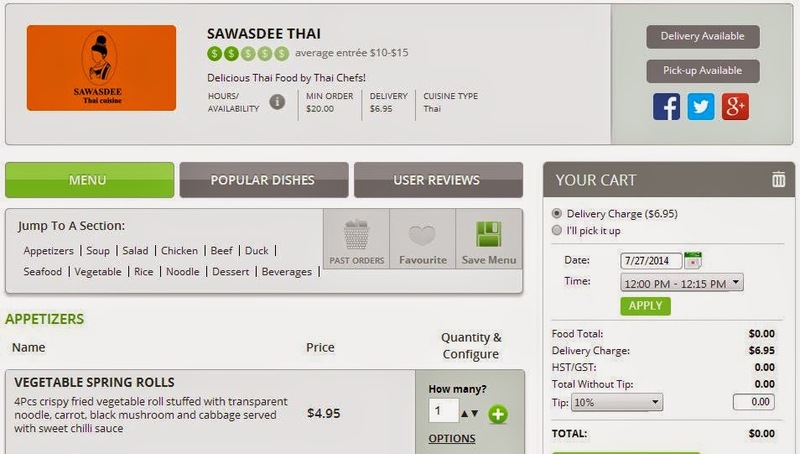 The Menu interface for each restaurant is very simple, even highlighting the most popular dishes for easy browsing. A practical tool is also being able to look over your past orders, especially great for my forgetful self. Orders can be placed within the day of, or up to 15-days in advance. 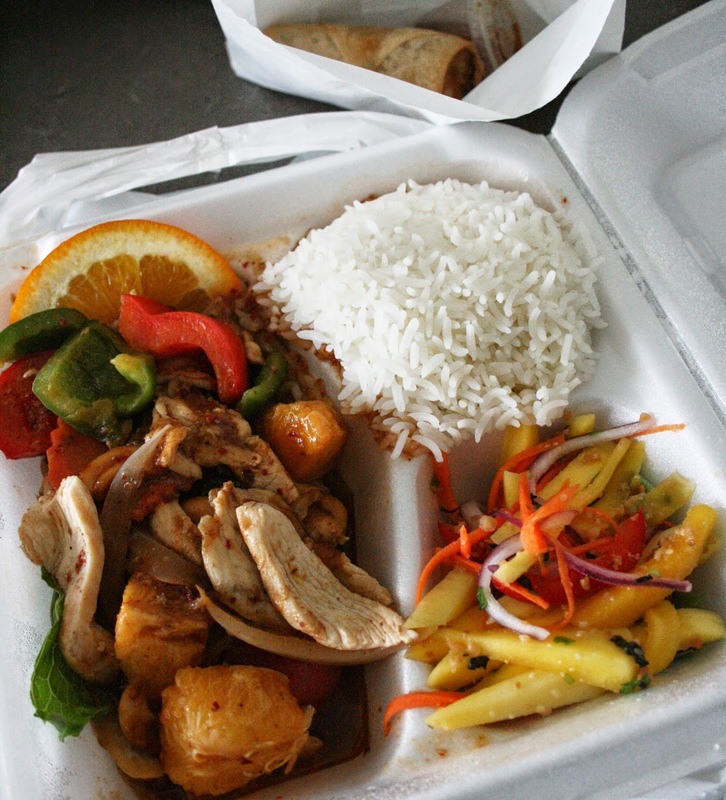 I had a great opportunity to experience a delivery of lunch by Sawasdee Thai for myself. I unfortunately had the inconvenience of no longer having a mobile phone, but, I was able to meet the delivery fella who arrived promptly just before the scheduled arrival of 12:30PM. I received a toasty lunch in a container divided into sections of Cashew Nut Chicken, Vegetable Spring Roll, Mango Salad and Rice – all of this, in my pajamas. The helpings were just-right, and each one was done very well – I was not the least bit disappointed in any of them. With such a swell amount of restaurant offerings to indulge in within your area, Orderit.ca is giving you the chance to win a $50 gift card to any one of these! Use it all at once, or sparingly across a few meals. Enter now to win! For me it's Thai food or Chinese food! I usually get Thai when I get delivery these days. I am a pizza lover! I like to order pizza for delivery. I love ordering Thai food!! I prefer pizza or Indian when receiving delivery to dine at home! When I have the money I prefer to order Indian food, otherwise my favourite to order for delivery is pizza. My Rafflecopter name is Maggie K.